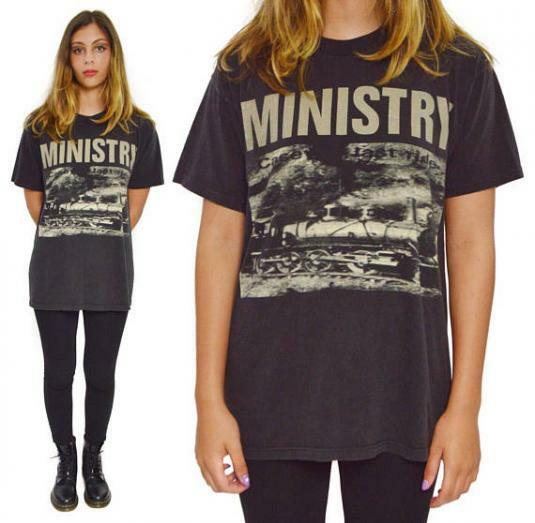 Feel the intensity of Ministry on this awesome 1990's black vintage tee from industrial metal legends. Casey's Last Stand graphic on front and "Smash the Control Images Smash the Control Machine" on back.. Great used vintage condition. Shows some light fade. Please review pictures carefully. ?????? ??? ???????????? ??????????? ? ?????? ????????? ?????????? ? ????? ??? ????? ????? ?????? ???? ?? ?????????? ???? ?????????? ? ??????? ??? ????? ????????? ????? ? ?????????? ?????? ??????????? ????????? ?????? ??????? ??????????? ?? ????????? ???? ?